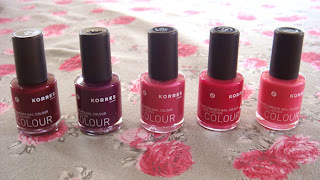 Today I have the second instalment of the Greek files and I will present to you some nail polishes from a very well known Greek brand, Korres. Their nail polish colour collection is very basic but it is readily available in many pharmacies around Greece so I picked a few colours to present to you. I tried to cover a variety of colours so I have a red, a purple and three pinks. 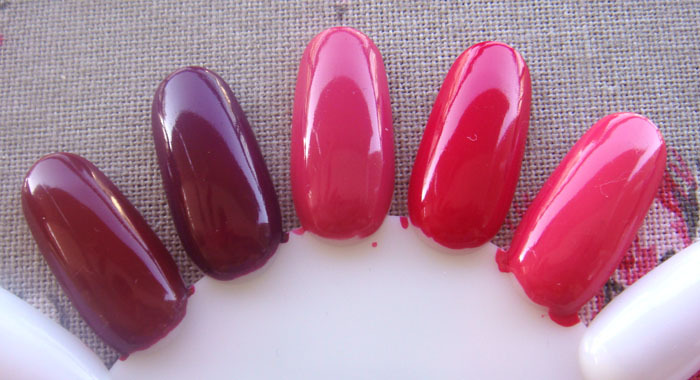 All the colours are cremes and for the swatches I used two coats of each. For the polish names just click on the photos to make them larger. The formula is very easy to use and I like the finish. I hope they will enrich their collection with more colours and finishes. 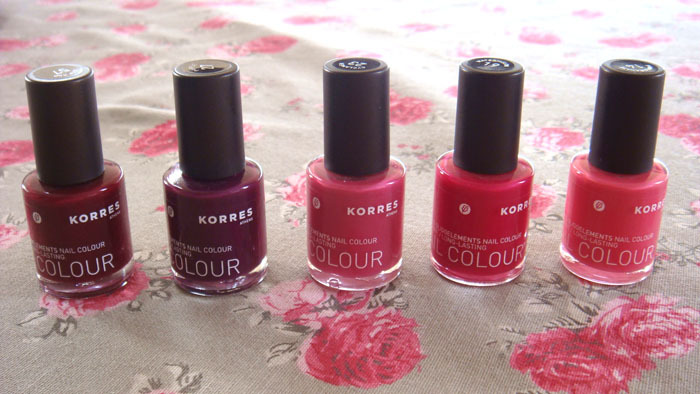 Do you have Korres where you live? What is your opinion of this brand? I'm loving the deep red and purple! We have the same problem here. Many of the well known brands are either impossible to find or just too expensive to even think about getting a bottle. No Korres here that I've seen. 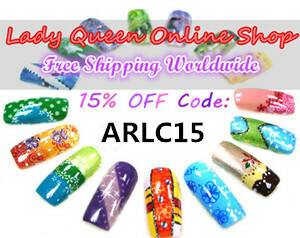 They look very shiny; did you use top coat on the nail wheel swatches? I don't have Korres over here, although I'm livin' in Europe as well. It does look very cool though, the colorsd are nice and opaque. It'd be awesome if there were more range of colors, glitters, jellies etc. @KarenD somehow I was under the impression that the brand is quite easy to find overseas. No, I didn't use any topcoat, the polishes are super shiny on their own. 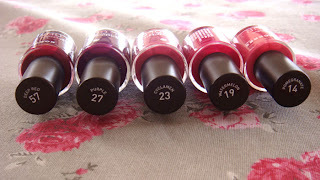 @AnnKiins'♥ I hope they will expand the collection, the polishes were very easy to work with so it would be great if the collection grew bigger. I wish we had Korean polishes here too. The ones I've seen are amazing! 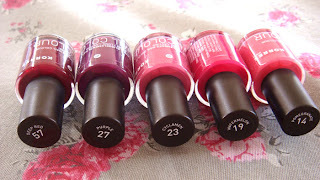 I didn't know Korres made nail polishes until I saw them in your post!